The objectives of the Massachusetts Avenue Corridor and Mt. Vernon Square Sub-Area are to encourage a boulevard and park-like openness for the Massachusetts Avenue corridor, linking the Capitol to the embassy district through upper story setbacks that increase the amount of light available to pedestrians and to public space plantings. The general location of the Massachusetts Avenue Corridor and Mt. 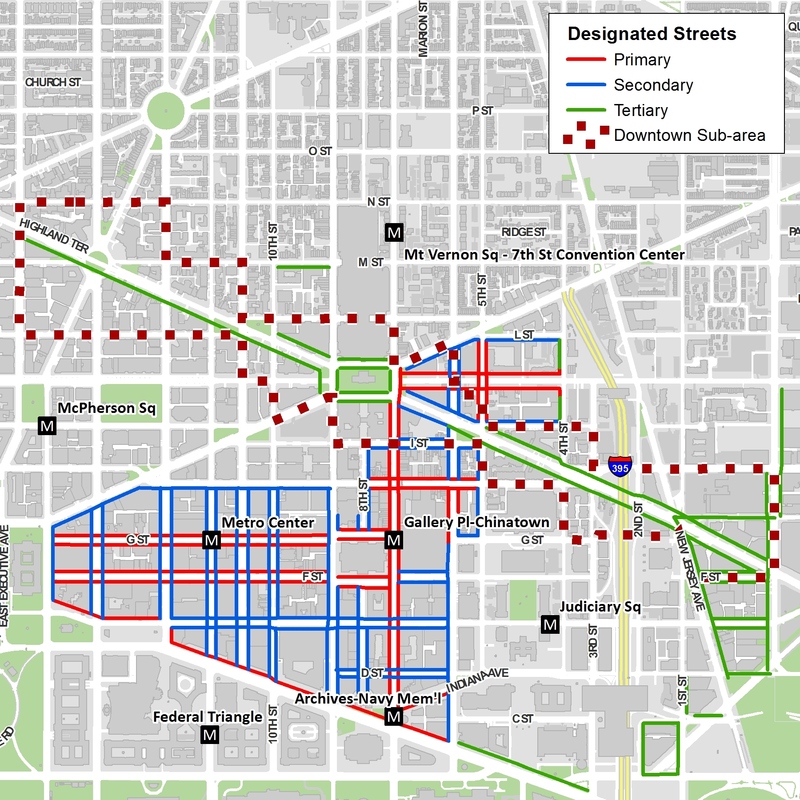 Vernon Square Sub-Area is along Massachusetts Avenue from North Capitol Street to 15th Street, N.W., including Mount Vernon Place, K Street, 7th and 9th Streets N.W. surrounding Mount Vernon Square.